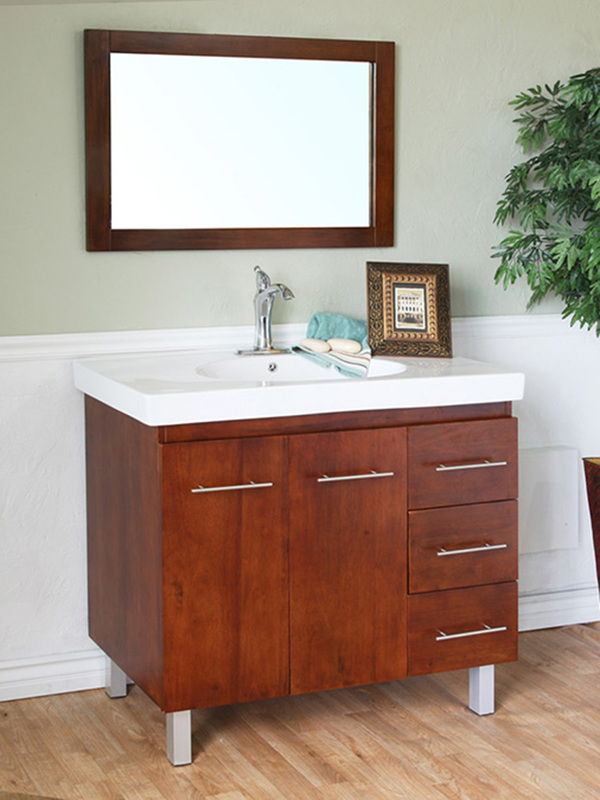 The Altamira Modern Vanity features a wonderful modern design with its clean lines, warm finish, and metallic accents. 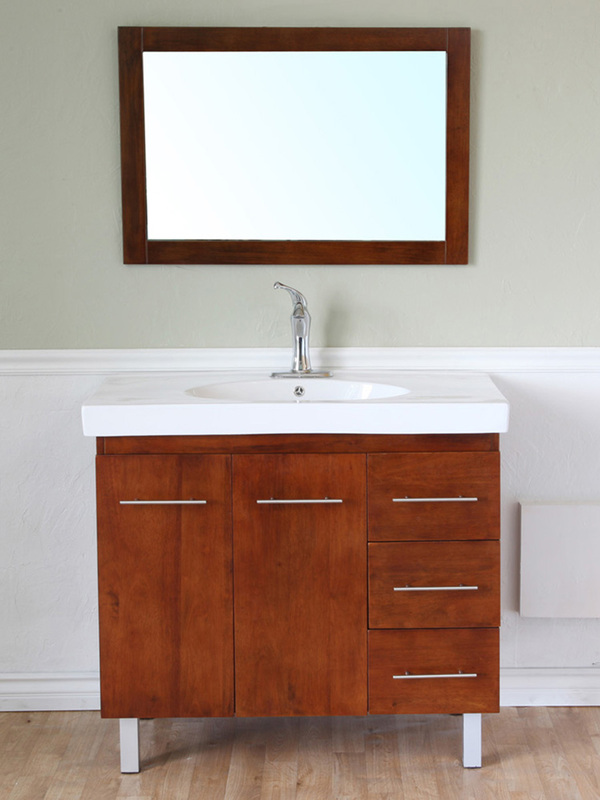 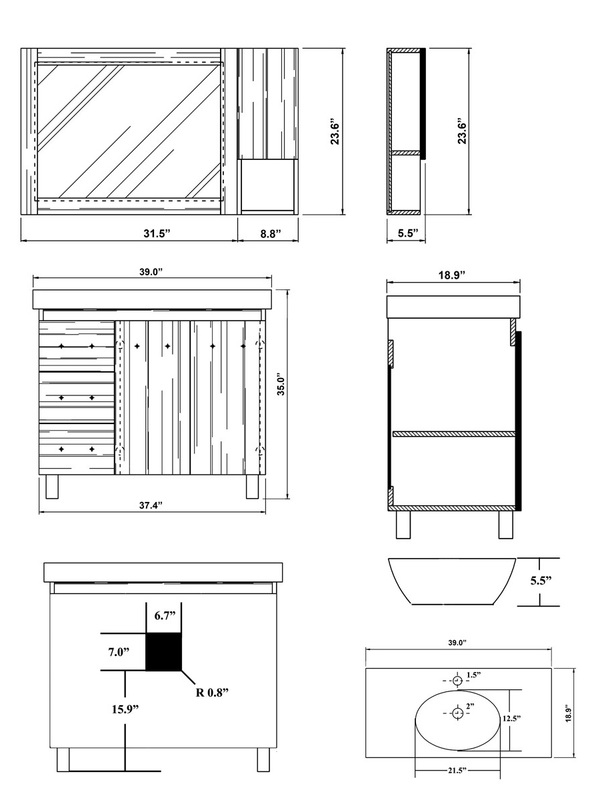 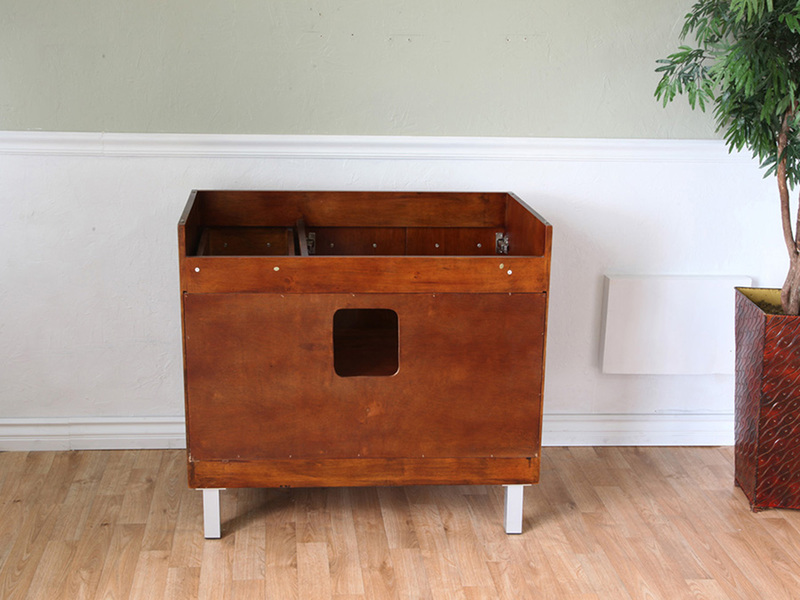 The cabinet is constructed from solid birch wood and is coating in a water proof walnut finish to protect the vanity from humidity and water damage. 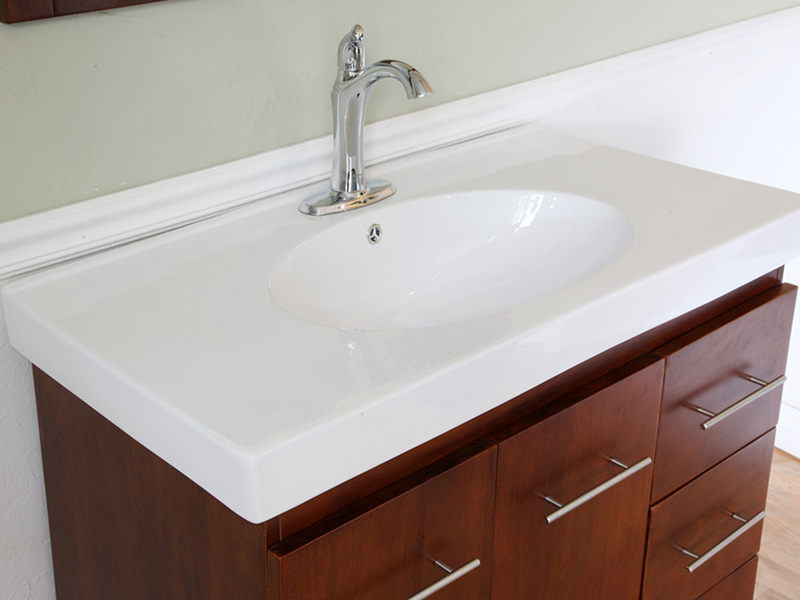 The sink is integrated with the ceramic counter top, adding to the sleek appearance of the vanity. 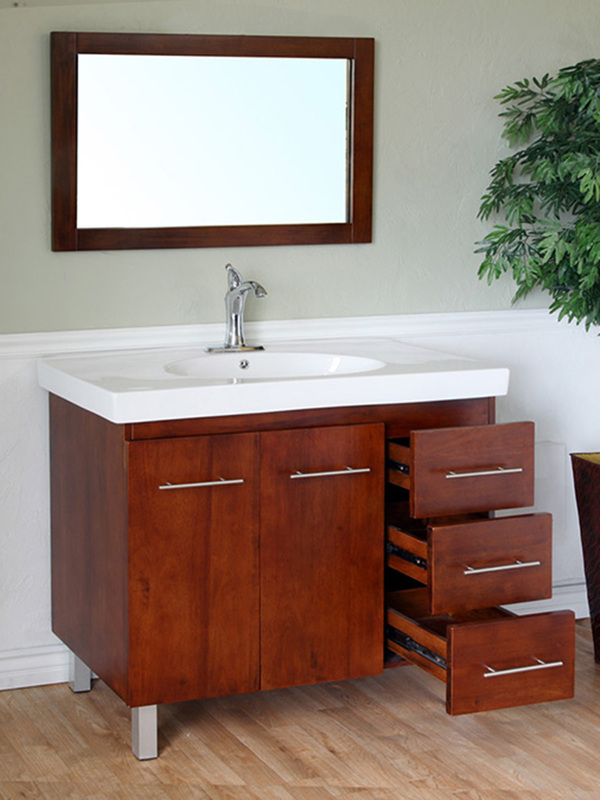 Three drawers and a double door cabinet give you plenty of storage options for all of your bathroom necessities. 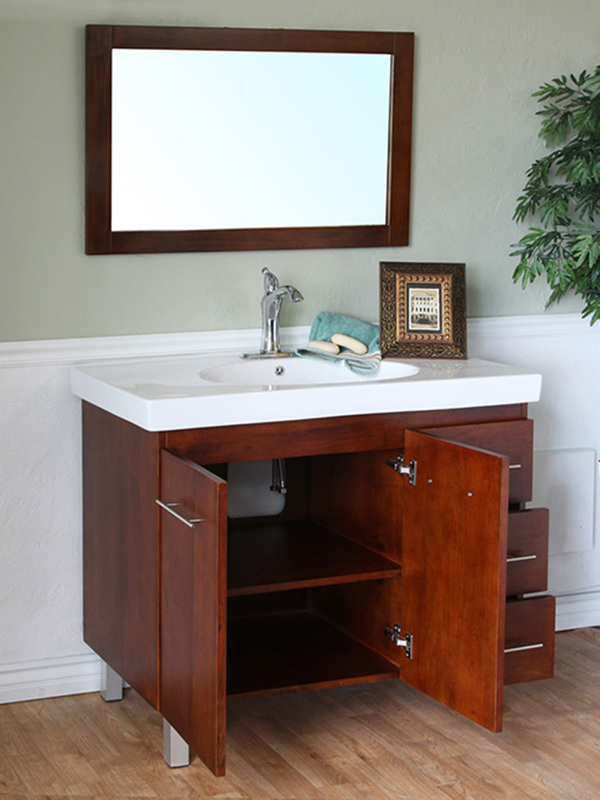 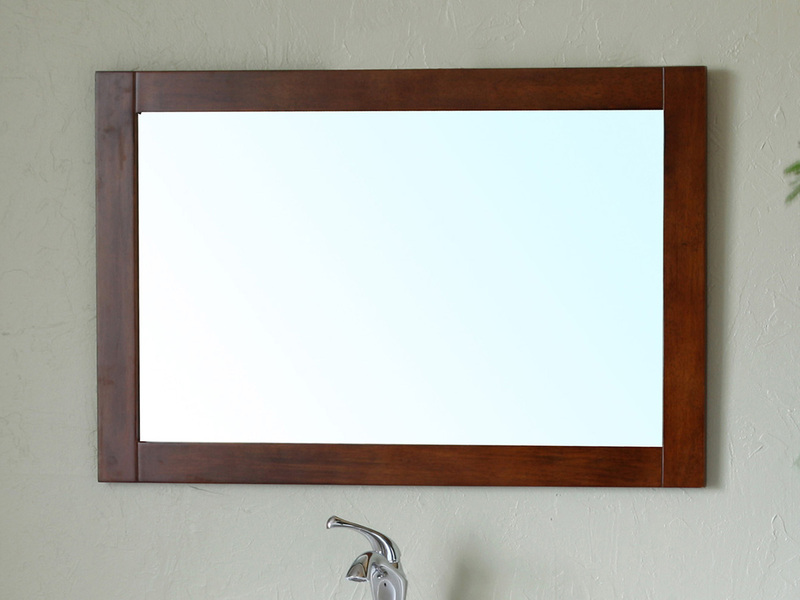 For additional decoration and functionality an optional matching mirror is available with this vanity.